With multiple goals to achieve, there will be times when you will need professional help. There could times when you will be quite clueless on how do you go about meeting a specific long term or short term goal like buying a car, home, arranging funds for kid’s education, kid’s marriage, your retirement and so on. With multiple goals to achieve, there will be times when you will need professional help. At these times, choose your financial planner with utmost care. It is always important to know your financial planner’s credentials like his educational background and experience. Unlike other professions, you may not know a financial planner’s credentials all the time. While it is not mandatory, it is always better to choose one who is a qualified Certified Financial Planner (CFP). A CFP license/certification is always given by the Financial Planning Standards Board India (FPSBI). In case your financial planner has a certification from lesser known institutes, watch out—he may or may not be the right one to go to. Again, it is also beneficial to go through referrals given by friends, relatives or family as this helps you to gauge his background. As you are looking at growing your hard earned money to achieve a specific goal, check on how he or she has performed in past. If you think this person is not in a position to give you an accurate picture on his experience or past performance in suitable words, with clarity close the chapter here and move on to a more reliable financial planner. Choose your financial planner only after you are thoroughly convinced about his work and experience, after asking the right questions. Do not get carried away if your planner is painting a rosy picture on his/her accomplishments from the past. 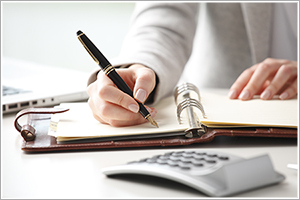 You should know your planner’s expertise in the various fields of taxation, investments and so on. In-depth knowledge is crucial. Even if your financial planner is lacking in some fields, he or she should be in a position to put you on to an expert for further consultation, without ‘misguiding’ you. Similar to a chartered accountant, a financial planner will charge a professional fee for his services offered. Hence, you should pay him only for the advice you take. A word of caution from the experts here-Fee structures will vary for all financial planners on which they charge a fee—some may charge a fixed fee, some on commission and some based on the return on investment. In case of fixed structure, an amount that is decided by your financial planner and you is pre-decided, annually or depending on the kind of service opted by you. However, there could be some who would charge a fee based on the number of investments made by you or on the returns of your investments wherein a certain percentage is a fee for him. There are others who charge commissions on your investments. Keeping all these structures in mind, opt only for that one financial planner who is transparent on all his details, giving you a detailed break up so that you can make an informed decision. Opting for a Sebi-registered adviser? In 2013, the Securities and Exchange Board of India (Sebi) came up with the Sebi (Investment Advisers) Regulations, 2013, which sought to regulate investment advisors. It said that anyone who charges for investment advice to clients in India will need to be registered with Sebi. It added that a Sebi-registered investment adviser should either be a CFP (from FPSB), or have received any certification accredited by NISM for investment advisory or CWM from AAFM India.. A financial planner registered with Sebi cannot receive any kind of compensation from anyone other than the client in any form.